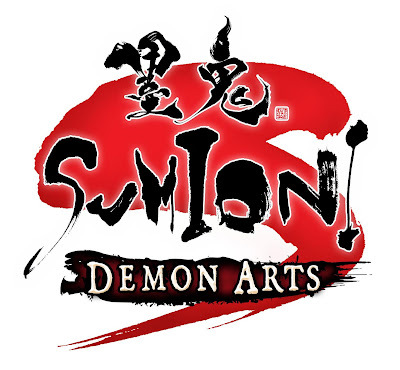 Sumioni: Demon Arts released on the PlayStation Vita through the PlayStation Network on March 20th, 2012. Published from Xseed Games, I believe this is the first title to hit Sony’s new platform from this team and I must say that it looks really nice. 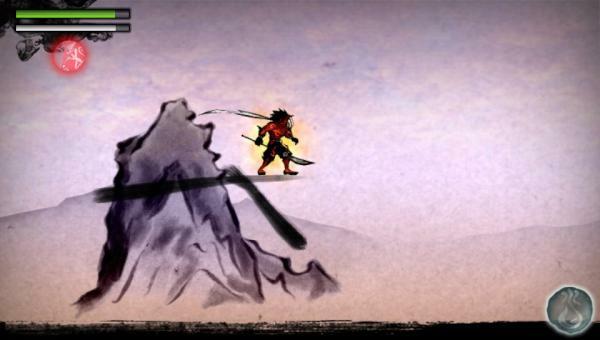 Graphically I was impressed by the watercolor style which is reminiscent of Okami (the PlayStation 2 title from Capcom that was later ported to the Nintendo Wii). The Vita’s wonderful OLED screen prominently displays Agura no Sumioni (the main character, the red Hellboy like dude) as he slashes his way through the baddies. Sumioni is an arcade action platformer and that helps make this feel like the actions on screen are moving along a scroll of paper. I personally liked the art style for this aspect alone. When I first saw a trailer of Sumioni in action I wanted to try it. Just to see how the Vita would hold up when the combat got intense. Of course the action doesn’t really get that intense during the demo. But that’s exactly the point, this isn’t the full game. I was able to play around with some abilities like halt the action with the L button and drawing lines on the screen and once I pushed the L button again (to resume the action) my drawn lines turned into flames and hurt the enemies as they touched the fire and eventually dying. Another aspect I liked was the summoning feature which works in a similar way. I would halt the action with the L button and down on the lower right hand side of the screen was a red icon; after tapping that icon a pattern appeared on the screen which prompted me to draw the pattern. Once I was done with the drawing I resumed the action (by pressing the L button again) and watched as a giant bird formed on screen. 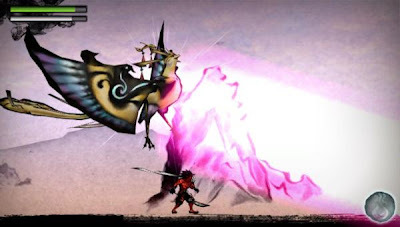 This beast is powerful; it has a beam that it shoots from its mouth that basically covers the screen. It is very dangerous to be an enemy of Agura. When I posted this impression I forgot to mention the little icon in the lower left hand corner of the screen (in the above picture it has the water droplet in it). This icon allows the player to write platforms out of ink. Which plays into the meter below the health bar in the upper left hand corner. When I tapped the icon it would switch from ink to water; allowing me to erase what I wrote out. By erasing the ink I would be able to continue using the ink, but when the meter ran out I would have to either erase or keep swiping my finger across the back of the Vita (the rear touchscreen) to recharge the meter. I dig the art style but the heads-up display is very bland. It really is bland, but I believe that is to keep things from blocking the on screen action.